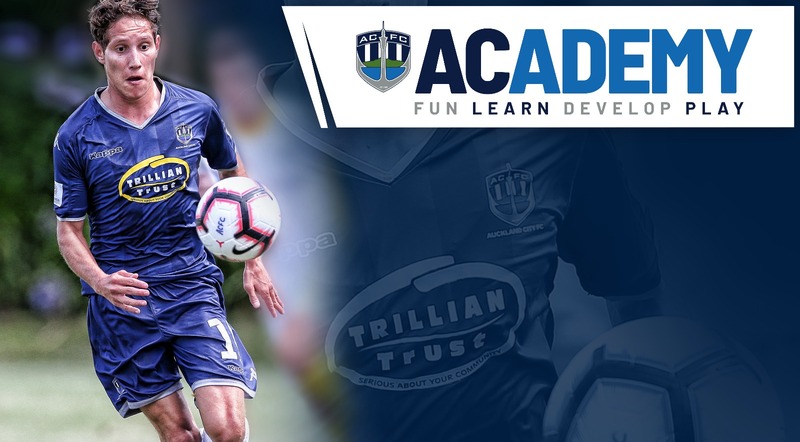 AUCKLAND, New Zealand - The Auckland City FC Academy joins forces with Kelston Boys High School offering a comprehensive pathway from grassroots to senior football and beyond. The Academy programme kicks off from the 6th May to the 5th July with all interested parties asked to enrol for Term 2 as soon as possible. Costs for the Academy programme are set at $100.00 per term for Kelston Boys' High School students and $150.00 for others. Former All Whites legend Ivan Vicelich is excited to see the Academy programme unfurled at Kelston Boys' High School. “We've created an Academy programme based on the development principles at FC Barcelona. Auckland City FC open registrations for their next Academy programme at Kelston BHS - May 6- July 5. "Our objective is to prepare players to play football to the best of their abilities, to one day play for the Auckland City FC first team or beyond. "Our relationship with Barcelona is excellent and two of our teams visited the Camp Nou in recent times to play matches and train. "We plan to strengthen that bond and bring some of their junior coaches to Auckland to help implement some of their concepts into what we are doing here. "But we're very excited by the link with Kelston Boys' High School and can't wait to get started," Vicelich told www.aucklandcityfc.com. Click here for everything you need to know about fees, schedules and registration. To register for the ACademy at Kelston Boys' High School click here.